When you finished your basic training, you probably realized there was so much more to learn about EMDR Therapy. It’s time to get EMDR certified with EMDR Professional Training. We are pleased to announce EMDR Professional Training’s Certification/Consultation Package, including a year of membership and valuable discounts. EMDR Professional Training, adhering to EMDRIA’s requirements, ensures your best practices of EMDR Therapy. Our certification package includes consultation to help you apply EMDR Therapy in your case work according to the AIP Model and EMDRIA guidelines. This is even more important as you are working with your complex clients. Having a consultant to help guide you through what can be very complex treatment helps to ensure more successful outcomes.Our consultants, like everything else at EMDR Professional Training, are the best in the field. 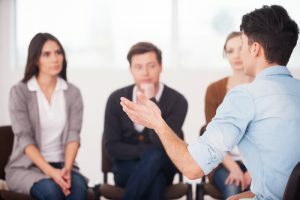 Along with your certification, EMDR Professional Training also includes one year of membership with access to videos and resources, discussion groups, and monthly meetings with either Dr. Curt Rouanzoin or Dr. Michelle Gottlieb. Membership also gives you discounts on of any of our Advanced Trainings. Ready to take your EMDR clinical skills to the next level? Start the certification process today with EMDR Professional Training. Click here to be re-directed to the sign-up page.